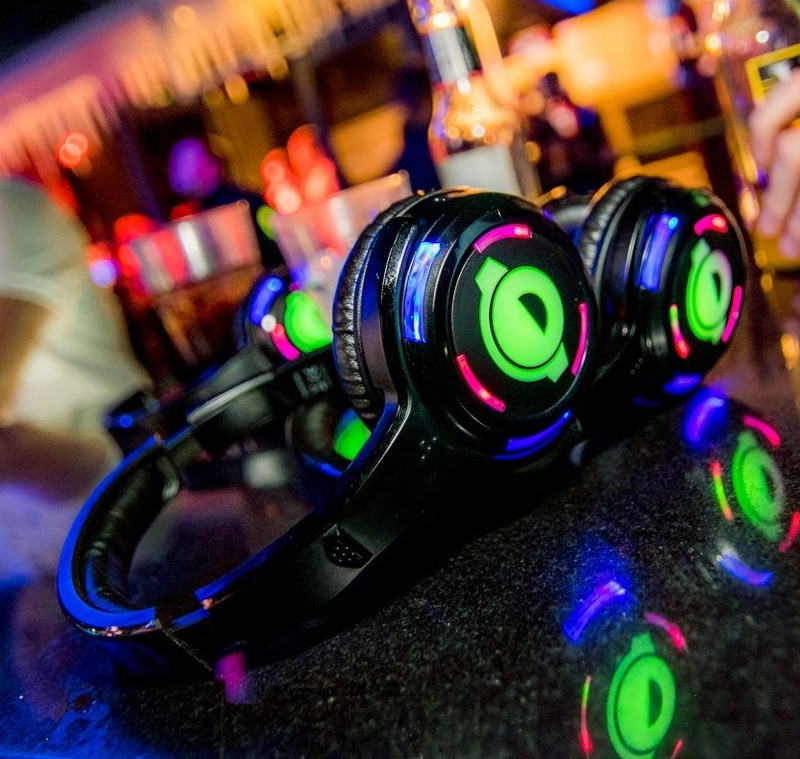 Everything you need to know about Silent Disco and how to host your own! Anything you want to ask, feel free to get in touch! How to host a Silent Disco? We provide the equipment, you provide the music. We deliver the transmitters and headphones to your location and you simply plug your own music into the transmitters, your phone, tablet, laptop, DJ Mixer can all be attached simply. We can also offer the full Silent Disco service with DJ's, please contact us for more info. 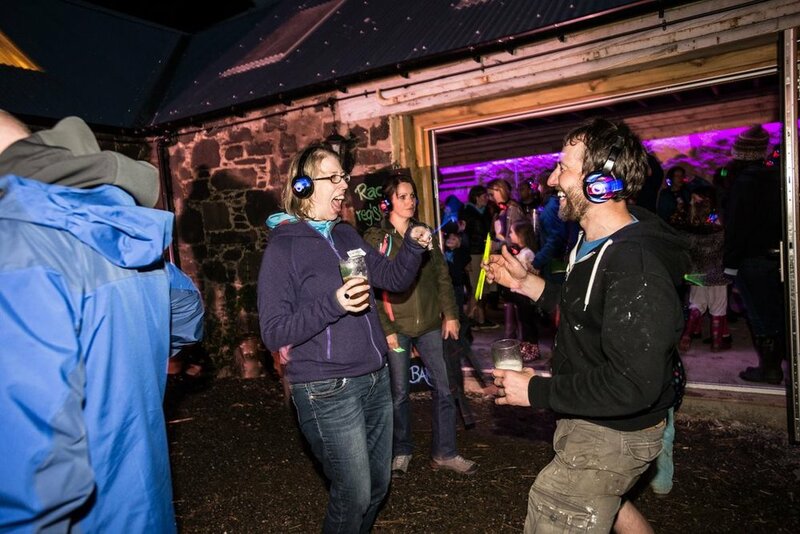 A silent disco will work at any level, whether is a festival, nightclub, wedding or even a small house party. We have the latest state of the art 3-channel transmitters and headphones which have LED glowing lights, the colour of which depending on what channel you are listening to, so you can 'see' what your friends are listening to!